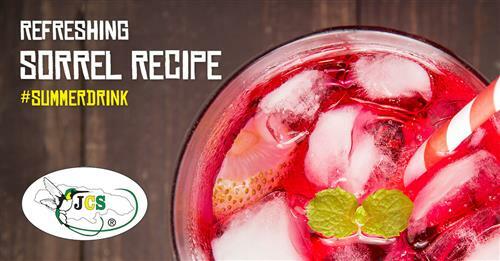 This Sorrel Drink is the best Summer Drink you’ve ever had! Traditionally, the Sorrel Drink has been described as a symbol of Christmas in Jamaica, but you don’t need to wait until December to enjoy this refreshing cocktail. In fact, it might become your favorite all-summer-long drink. When choosing a refreshing, cool, and healthy cocktail on a warm summer day, the traditional Jamaican Sorrel might be your best choice because of its antioxidant components and its high quantities of Calcium, riboflavin, Vitamin C, and niacin. These vitamins and minerals help to fight hypertension, high blood pressure, heart disease, and illnesses related to premature aging. How do I make a Jamaican Sorrel Drink? Don't worry, we will guide you step-by-step how to make the perfect Jamaican Sorrel.